Jacks have been key players in the woodworking industry for generations, and we have a long history of supporting industry associations at a local, national and international level. Jacks is a proud member of COMBOIS, a world-wide association of distribution and service companies specialising in woodworking and wood processing machines. Founded in 1967 and employing more than 1100 people including more than 270 trained specialist technicians, COMBOIS members worldwide together achieve annual sales exceeding $NZ 600m. The organisation exists primarily to facilitate the exchange of technical know-how and communication between the members, to the ultimate benefit of their customers. Jacks are also members of PrefabNZ, the hub for pre-built construction in New Zealand. PrefabNZ is passionate about how prefabrication can offer innovative high-quality buildings on time and within budget. PrefabNZ believes there is a clear need for a radical paradigm shift to improve building quality in a sustainable way by decreasing defects, while also decreasing costs and timeframes. An increased uptake of prefabrication is for the good of New Zealand’s wider design and construction industry. PrefabNZ is a self-sustaining non-profit incorporated society representing the interests of a wide range of materials and stakeholders in the design and construction sector: from clients through to designers, specifiers, manufacturers, contractors and government. Jacks are an Associate Member of the NZ Joiners Manufacturers' Federation, also known as Master Joiners, made up of joiners living and working throughout New Zealand. The Federation encourages competition and the pursuit of excellence between and from its members, their employees and apprentices. The benefits of interaction and sharing of information with fellow joiners is invaluable, with particular regard to customers and suppliers. 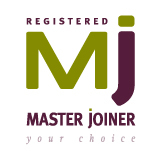 Master Joiners is the recognised national joinery industry body. Jacks are Affiliate Members of the Wood Processors & Manufacturers Association, NZ's advocacy body for the woodprocessing and manufacturing sector. WPMA, with an Executive office located in central Wellington, has a strong voice with Government. WPMA runs a science and innovation stream focused on exploring science and innovation projects overseas and their viability in New Zealand. They also have a powerful voice in the directing of Government science funding, and where public research projects are focused. WPMA was established in 2014 by the merging of the Wood Processors’ Association and the Pine Manufacturers Association.